Range of flexible PVC terminal covers. AC4 eyelet / battery terminal covers. Available in either RED or Black. 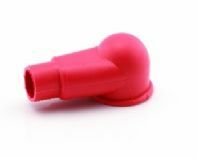 Top quality RED or BLACK rubber battery terminal covers. Pack of SIX rubber terminals covers.